We are in Chamas to make money and many of us are probably familiar with the advice: to become rich and wealthy, you must become an investor; grow your money; get your money to work for you. Unfortunately, too many Chamas have gotten their fingers burnt and lost a lot of money trying to grow their money, primarily because of poor investment decisions. Is there a solution? A safe and legal way to enjoy higher returns on investment on your Chama’s money? Yes. And it’s simple, go land banking. raw land in the growth path of a major town or city and holding or banking it to sell for significant profit in the future, your risk can be very low and your potential for return, can be very high. Over the years, more than a few fortunes have been realized by way of land banking. Investors who understood the concept of purchasing – at very low prices – raw land that could later be developed became quite wealthy. But it hasn’t ended; that same concept still works today. And with the current real estate bubble continuing to burst all around us and affecting virtually every category of ‘improved’ properties, investing in undeveloped land is proving to be a very sound financial decision. 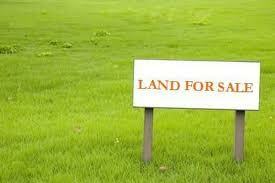 To invest in land banking, it is usually a good idea to purchase land with the cash your Chama has saved up. Borrowing money to purchase land is not land banking, it then becomes land speculating. valuable if it were used to build a manufacturing plant, or a shopping mall, or perhaps parceled out for a housing subdivision? Wise investors use this principle to buy land that lies in the direction and pathway of economic progress. Eventually, as construction and growth move toward the property, its value begins to rise. And depending on how the land is ultimately projected to be used, the profit for the land’s owner can prove to be truly astronomical. The key words to yielding high returns are “acquiring pre-developed land.” Pre-developed land is: in an area that has already been targeted for growth; these days areas such as Kitengela, Konza City, Kisaju are great for this. Also areas close to the city such as Ruai, Juja, Thika which are located in the growth path of Nairobi are great for this. When looking at land for banking ensure that the land is usable and relatively level, There are abundant resources in the area, The area is easy to reach by car, Utilities are in place to accommodate rapid growth such as electricity and water, Close to an ever-expanding town or city, existing residential development and low cost housing, higher education institutions nearby and more planned, regional studies projecting healthy population growth.